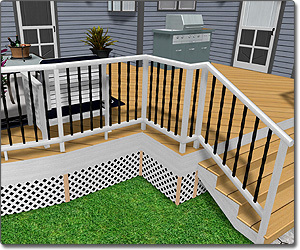 Create intricate deck designs with improved options and appearance. 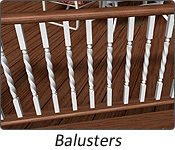 Customize deck balusters, railing, skirting, fascia, posts, post caps, and more. Alternately, simply load a pre-designed deck in two clicks using the new "Style" option. 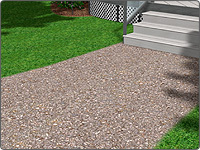 More than 1200 products from 12 popular companies have been added to Realtime Landscaping Architect, including S.R. Smith pool products, Jerith aluminum fences, Belgard hardscapes, PebbleTec pool finishes, Philips Hadco outdoor lighting, Amarr garage doors, Kichler lighting, Master Tile pool tiles, Noble Tile swimming pool tiles, Eldorado stone and brick veneer, Unilock pavers, and RicoRock swimming pool waterfalls. For details on each brand, visit our interactive Brands page. 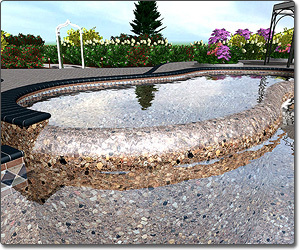 Several hundred new landscaping objects have been added to Architect, including new furniture, vehicles, fire pits, doors, windows, landscape lights, greenhouses, sheds, pond bridges, and much more. A special effect has been added that causes normally flat regions to appear raised and realistic. For example, grass can now appear to grow several inches high instead of appearing flat when placed next to patio or mulch regions. The 3D Edge Effect appears in both design and walkthrough views, letting you provide a more realistic and inviting landscape design to your clients. Nearly a thousand new high quality plants have been added to Realtime Landscaping Architect. These plants were taken from many different regions around the United States and Japan, providing even more variety to the already staggering plant database and bringing the total number of plants to 6,700. 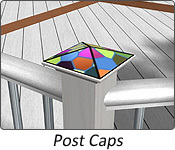 A new tool has been added to create highly detailed metal and vinyl fences. 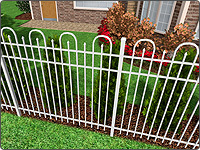 We have partnered with Jerith to bring you many different styles of aluminum fencing, and have also included many styles of picket, chain link, ornamental, privacy, and post and rail fencing. 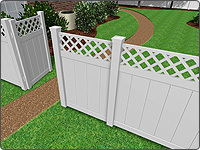 This panel fence tool and accompanying styles are in addition to the existing wooden fence tool and wooden fence styles. Custom plants are easier than ever to create with the ability to quickly re-name the common and botanical name of any selected plant as needed. Additionally, each plant now has a button shortcut to the Plant Creation Wizard, which is used to save a plant using custom plant data. Hundreds of thousands of 3D objects created in SketchUp can be downloaded for free from the Google 3D Warehouse. Realtime Landscaping Architect has been updated to support the new version of SketchUp, increasing compatibility and the opportunities for new content. Creating movies in Realtime Landscaping Architect is now faster, easier, and higher quality than ever! Videos of your Realtime Walkthroughs can now be created in the WMV format with enhanced compression options that allow for movies to be created quickley while taking up less space. Additionally, support for uploading to YouTube has been added. When your movie is completed, simply click the "Upload to YouTube" button and follow the instructions. The look and feel of our Realtime Landscaping software has been improved with a new user interface. We combined the style and appearance of the "ribbon" interface that is used in many modern applications with the functionality and ease of use of our "tab based" interface. The result is an interface that is both easier to use and better looking than anything we had previously seen. When viewing your landscape through a Realtime Walkthrough, or when creating a movie, shadows and lighting will now appear even more realistic by default. However, you can now take it even one step further by enabling "Ray Tracing" on landscape lights for ultra-realistic night scenes. The water of ponds and swimming pools has been vastly improved to provide an unprecedented level of realism to your movies and walkthroughs. When enabled, improved water now features reflections and refractions in combination with real 3D ripples. The pool finish will shimmer below the surface and the reflections of plants will dance across the water. With the addition of an "Add Water Ripples" option, both rippling and serene water can be simulated without adding waterfalls or fountains. 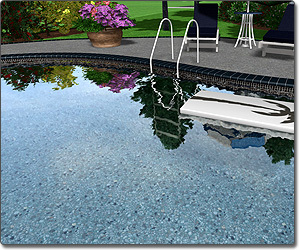 The tools used to create swimming pools and spas have been vastly improved, and are now faster, easier to use, and more visually appealing. 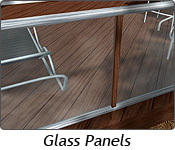 Swimming pools no longer require pool decking to be elevated, spas can be easily placed inside swimming pools without regard to pool decking, pool coping has been enhanced in several different ways, and the swimming pool accessory library has been expanded. Nine completely new tools have been added for creating partial or complete residential road systems. Use these tools to quickly design the road in front of your client's house, create entire road systems, or use the road tools for specialty projects such as street island landscaping. 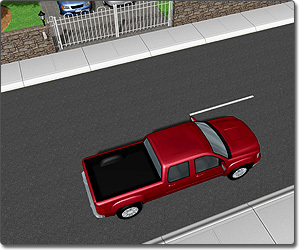 New tools include Road, Sidewalk, Curb, Curb Ramp, Road Stripe, Road Decal, Road Accessory, Street Light, and Guardrail. Plant legends can now be exported in Microsoft Excel format. When a plant legend is exported, it retains its layout and graphical features. Customize your plant legend even further in Excel, or print it off seperately for your client. 100 new plant symbols for use in the Plan view have been added. These new symbols were created by a landscape professional in a stylized format. Both soft and vibrant symbols can be chosen. Swimming pools have been enhanced with infinity edge functionality, pool seat and stair nosing, and pool seat and stair tile. 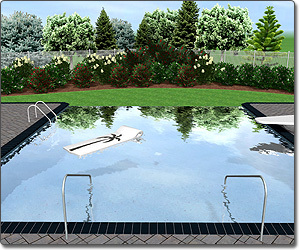 The addition of these features allows pool designers and landscapers to create even the most unique residential and commercial swimming pools. Full support for contour line terrain sculpting has been added. To create a contour line, simply click the appropriate tool and draw the line by placing points. Both closed and open contour lines are supported, and contour lines can be customized as needed in the Plan view. Many other additions and changes have been implemented based off of customer suggestions and comments, such as the Radial Dimension tool, enhanced Realtime Camera functionality, improved Path Grader behavior, enhanced retaining wall caps, and much more. Upgrade from a previous version for a reduced price. View all upgrade paths here. Purchase now and receive the software immediately via download, as well as on shipped DVD. Free technical support is available if you have questions. We fully stand behind our software. If you are not 100% satisfied with Realtime Landscaping Architect, simply return it within 30 days for a full refund. More.